In the meantime, we continue with the news this Monday night, and the deadly flu epidemic. The CDC reporting it is the worst in nearly a decade. 39 states reporting high flu activity. 37 children dying from the flu. That’s nearly double the number from this time last year. But baby boomers are being hit especially hard, as well. And tonight, the new cases here. One pregnant woman losing her baby. And a mother who cared for her husband and her children who had the flu, dying of the flu herself. She did not have the flu shot, the rest of her family did. Here’s ABC’s Eva pilgrim. Reporter: Tonight, the flu epidemic pushing hospitals to their limit. 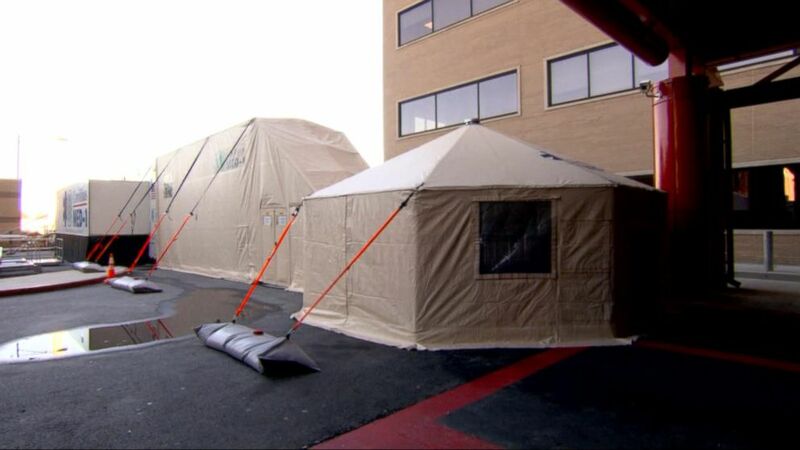 At Grady hospital in Atlanta, a team is setting up the country’s first mobile emergency unit to handle what doctors say is a historic demand for care. I’ve been working at Grady for almost 15 years. I’ve not seen it this bad in 15 years. Reporter: Already this season, 37 children have died from flu, compared to 21 at this time last year. And tonight, more families are sharing their stories to help others. MARIA Paniagua’s friend says she was 7 months pregnant when she got the flu, then pneumonia. She says they put her in a coma to try to save her life, but could not save the baby. Be careful with that, because if you’re pregnant, you’ll go in the hospital. You or your baby survive and maybe neither one survive, both can die. Reporter: Karlie Slaven died from the flu after caring for her husband and two kids. We’re doing this for her. They all had their shots and they got over everything pretty well. Reporter: As more than a million people descend on Minneapolis this week for the big game, doctors concerned the super bowl crowd will bring an uptick of the flu. There will be people congregating in really large numbers and in really close proximity to each other. That’s exactly how influenza is passed on. Reporter: Organizers wiping down hands-on exhibits and equipment. Parents doing their part, too. And Eva pilgrim reporting in from Minneapolis tonight, where the festivities are already under way. I know organizers are trying to get word out to people, because of the close proximity they’re going to be in, right behind you. Reporter: That’s right, David. The cold, dry air here in Minneapolis, the perfect conditions to spread the flu. Organizers are encouraging fans, get your flu shot before you come. David? Eva pilgrim with us tonight.